I am very happy to see some warmer temperatures and a turn in the weather! However, at the time of this writing I'm looking forward to days off work soon and there is snow in the forecast... it figures! The spring weather us upon us and I hope the good weather will stick around and the club can get some flying in. The AGM is fast approaching and with that I am urging members to come forward and volunteer for the 2019 Board of Directors for the Borden Flying Club. Click here to go to the nomination form. I have been involved with the Board of Directors since 2016 and it has been an privilege to work with the Board Members, both former and current. 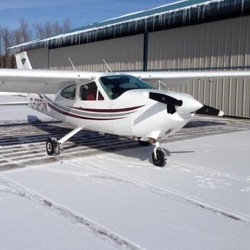 The hard work and dedication of the Board ensures the membership has a safe, reliable airplane to enjoy. The flying club keeps many pilots flying who would otherwise be out of General Aviation due to high cost of our passion. This club is very important for me as it and I am very happy with the direction the club is heading. I am very proud of the initiatives that the flying club has taken on such as COPA for Kids, working to inspire the next generation of aviators. I am grateful that I had opportunity to act as President of the flying club and I appreciate all the hard work from everyone who has contributed to the greater good of General Aviation. Winter has been long, and I don’t know about everyone else, but I am sure looking forward to spring! I wanted to let the club know that we’ve had some shuffling of the Board of Directors. Steve Methot our PRM, whom most of you know serves in the RCAF has been sent overseas for a 6-month deployment. Steve’s contributions and commitment over the year have been excellent and I wanted to extend my thanks. We are looking forward to him returning home safely and having a few hangar beers! Tom Stiff has graciously offered to take on PRM duties for which I am very appreciative. The Board of Directors contact page has been updated to reflect this change. I wanted to again extend my thanks to the volunteer Board of Directors team, who without their time and dedication the administration of the club would not be possible. We are coming up to April which means the AGM. We are looking for club members to participate and volunteer to be on the Board of Directors. I want to emphasize once again that this club cannot operate without dedicated volunteers and we need your help! Please reach out if you have any interest in serving with the board. Click here to go to the nomination form. A quick update on the maintenance front. PDW just underwent an oil change. As we get closer to engine overhaul we will be doing oil changes every 25 hours to more closely monitor. Details are being finalized however, please expect some downtime as early as April for the overhaul process. Details will be communicated to the membership when available. Hopefully everyone has been keeping warm during the deep freeze. I wanted to remind the membership April is fast approaching! The Board will be looking for volunteers for the 2019 term and I ask anyone that is interested to reach out. The club will not run without the dedicated volunteers who take care of the administration required to keep PDW's prop spinning. PDW's engine as I am sure PRM Steve will mention is being monitored closely as we get closer to engine overhaul. Oil analysis are being completed with every oil change so that we can best determine the right time to do an engine overhaul. This will come with some downtime obviously; our goal is to best plan this maintenance to minimize the impact to the flying members. Dialogue has been started with the board on the long-term objectives for the airplane asset with the club. I believe we need to start asking questions on where we see the club and aircraft in the next 5 to 10 years. Questions like, after engine overhaul, should be invest in a new interior for the airplane, further avionics upgrades and so on. 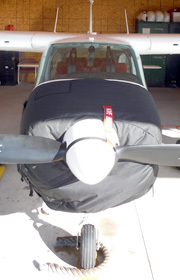 The other option to be consider is selling PDW and look to get into a newer aircraft. All of these options cost a great deal of money as we must make sure we are making the correct financial decisions for the club. Hopefully this doesn’t come too early for everyone, but I wanted to extend my best wishes and a Merry Christmas to all the members as we start the month of December. I want to thank all flying members for their patience as we work through the COM 2 installation, fuel repair, and annual. These larger projects unfortunately tend to drag on despite everyone’s best efforts. Please rest assured the Board working to have these projects completed as quickly as possible while not compromising quality and safety. The good news is the downtime has been during the worst of November weather. Updates on the progress will be provided via email though aircraftclubs.com and the calendar is being kept up to date with maintenance bookings. The Garmin Com 2 has been installed and I have forwarded the user manual. The manual is available on the Borden Flying Club website, so all interested parties can reference (click here). The unit is very slick and has a warranty to boot. It also has useful functions like a timer (the Garmin GNS480 GPS/COM has this as well). This could be a good time to brush up on the functions of PDW equipment. I was watching a MzeroA video on youtube (https://youtu.be/QN2Ia8Po0OY) and it was taking about how most GA pilots are only using a small portion of our avionics. It’s an interesting watch. In closing, for all flying members staying current over the winter, please ensure you give yourself some extra time to prepare PDW for the cold weather flying. Take care when walking and taxiing around the airport and keep an eye on the wingtips and snow banks! Well the cooler weather is on the way, so at next month’s meeting we’ll be covering winter operations. I’m looking forward to this month’s meeting on the 20th, and hearing about Leath Greenwood‘s experience in the military. This month I wanted to send along an excellent article written by a dear friend of mine, Jack Proctor. Jack is currently an Air Canada Captain on the B787. Jack still teaches four days a month at Seneca College in Peterborough. Jack has had a class one instructor rating for the past 30 years. We were talking one day about strong wind handling and landing techniques that students and private pilots use. From our discussion, he wrote this article for the safety magazine for Seneca College. I hope you enjoy. As summer is winding down I hope everyone had a chance to enjoy with family and friends. I hope to see everyone at the Airport Social September 14th; it should be a good time. I want to extend my thanks to the Edenvale Airport team who is sponsoring this event. 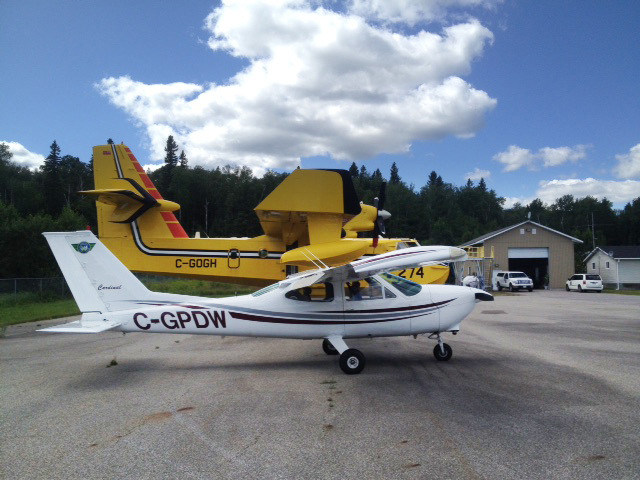 PDW saw lots of flying this summer, and it all went very well for the most part. I had a great time at the COPA 4 Kids event and want to pass along my praise to all who contributed and attended. It was a really great event and something I am looking forward to doing again next year. I want to thank all members for the support and assistance keeping the airplane and hangar in neat and tidy order. All club members must work together to ensure everyone is doing their part as the club will not thrive if members simply “rent” the airplane. Thank you to everyone for your continued support and contributions. In the near future we will be sending out a survey for the flying members of the club. The Board is looking for feedback from the flying members of PDW on current and future needs and wants. This feedback is very important, and I urge all flying members to take some time and complete the survey. Click here to get to the survey. The Board is working on a new COM 2 option in the near future. In the meantime, a reminder to all flying members that there is a "Monitor" function on the Garmin 480. If anyone is unfamiliar with this feature please don’t hesitate to reference the manual on the Pilot Resource section of the BFC website or ask for help. "The Gathering of the Classics" Needs You! Volunteers are needed for the 30th Aunnual Gathering of the Classics. PDW will be on display and we need to have members take shifts "manning the booth". The Classics is despirately in need of volunteers to help park cars and aircraft. Please visit this link and fill in the survey if you can help. Thanks! Read more about "The Gathering of the Classics" Needs You! The planning for our first COPA for Kids event is going well. Pre-registrations are rolling in and we have great support from our membership. While it looks like we have the number of volunteers we need, drop Karen an email if you want to help. All volunteers: please email Karen (beanster11@live.ca) to confirm your commitment to the event. Members who wish to fly kids in PDW should create a back-up booking on July 21st in our calendar. Harrison will be coordinating the flying schedule and needs to know who is interested. A minimum commitment of two flights of about 20 minutes each is required. Remember that the full cost of your flights is your responsibility. Email Harrison if you have any questions about flying PDW in the event. Wishing everyone a Happy Canada Day. I trust everyone enjoyed the hot long weekend, hopefully with family and friends. Regrettably, I was not able to attend the Club BBQ due to work commitments but I thank everyone who attended and for the members that assisted putting it together. I am happy to report it looks like summer is here and the flying weather has vastly improved. The return of summer weather will no doubt bring more traffic to Edenvale and the surrounding area. Please be more cautious flying in the busy season. I would like to remind all flying members about the importance of checking NOTAMs. Here are a couple of local examples. One NOTAM describes the CNV8 Skydive operation that is back for the summer. Another recent NOTAM covered airspace and CYLS access restrictions due to the Borden Airshow. This COPA article cites 16 incursions into the airshow airspace causing delays to the show. Don't be complacent: carefully review NOTAMs for every flight as it is easy to get into a sticky situation if you miss something. I would like to thank all of these gentlemen for their contributions to the club, it is much appreciated. The Borden Flying Club Annual General Meeting (AGM) will be held at the Edenvale Aerodrome in the conference room at 10:00 on Saturday May 5th, 2018. It is important to be invovled in the business of our fine club. But if that isn't enough motivation, we will have some BFC branded hats and a shirt as door prizes. So please do what you can to be there! We’re looking ahead to a great spring and summer of flying and events, as hard as it may be to believe looking out the window today. Here’s the events on our calendar for the next 3 months. Hopefully lots of members find the time to participate. May 26: Airport Doors Open and Pancake breakfast. COPA event -hoping for lots of fly-in guests too. June 23: Our annual BFC BBQ. We’ll do Saturday lunch again this year as it seemed to be a popular option last year. I hope this message finds everyone well. As I write there is absolutely no snow to be seen on my lawn, which is bad for my snowmobile season but has me thinking more about springtime and flying. The Borden Flying Club has a major achievement to report in our 60th year of flying. Your flying club is now the proud owner of PDW! The final payment for the balance of the airplane went through and the cheque didn’t bounce! I want to thank all the current and previous board members whom contributed to this major milestone. I would like to remind all members to ensure the hangar door is closed and locked once you are done. The hangar door was discovered open and all the lights were on. Please ensure you lock up and shut down the lights when done. The 2018 Annual General Meeting will be held May 5. This is a little later than typical, however due to scheduling conflicts this is the soonest it can be held. 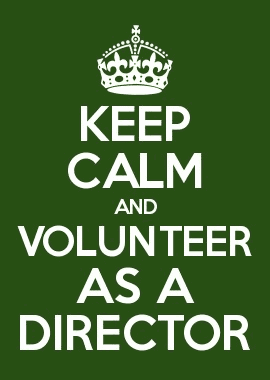 A reminder has been sent out asking members to considering volunteering for the Board of Directors. Members in good standing with the club are able to vote to elect Board Members. Hopefully the worst of the winter is behind us. Flying looks like it is picking up on the airplane. I thank all the members who have contributed to snow removal around the hangar so far this winter. Please ensure everyone is careful when walking around the ramp and hangar in the slippery conditions. A reminder about the Switchbox/Tanis heater email: the decision has been made to keep the airplane Tanis heater plugged in at all times during the cold winter weather. Please do not turn it off via the app. I look forward to the February 17 club meeting and talking more with COPA. April is fast approaching, which means the Annual General Meeting (AGM) and the election of the Board of Directors. If any members are interested in volunteering for any position on the board I ask that you reach out to me. I want to thank the existing board for the many hours of work you have contributed, without you there would be no club. 1. Initial checkout, all new members. 2. Minimum, every 60 days log PIC time. 3. Annual Review check (which may be combined with a 60-day recurrent check), once every membership year. 4. Night checkout (must already have Night Endorsement).